Santmire's much-acclaimed The Travail of Nature: The Ambiguous Ecological Promise of Christian Theology documented the unfortunate legacy of many Christian theological notions in the use, abuse, and destruction of the natural world, along with its positive aspects. 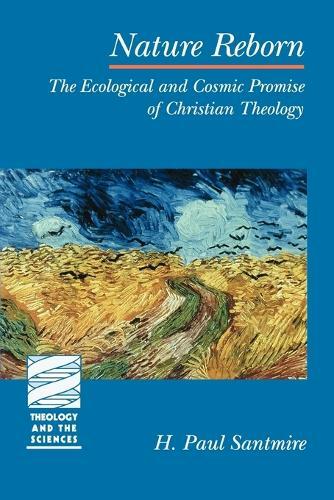 This new brief, but penetrating, look at Christian theological concepts of nature returns to the fray, this time to reclaim classic, mostly pre-modern Christian themes and re-envision them in light of the global environmental and cultural crisis. This revisionist work-"to revise the classical Christian story in order to identify and to celebrate its ecological and cosmic promise"-mines Christian cosmology (the Great Chain of Being), Christology, Creation, and Eucharist, so that the Christian "story" can be then rediscovered (history), reshaped (theology), re-experienced (spirituality), and re-enacted (ritual).